Working as a freelancer has its perks, but it can often be very challenging to find new clients. 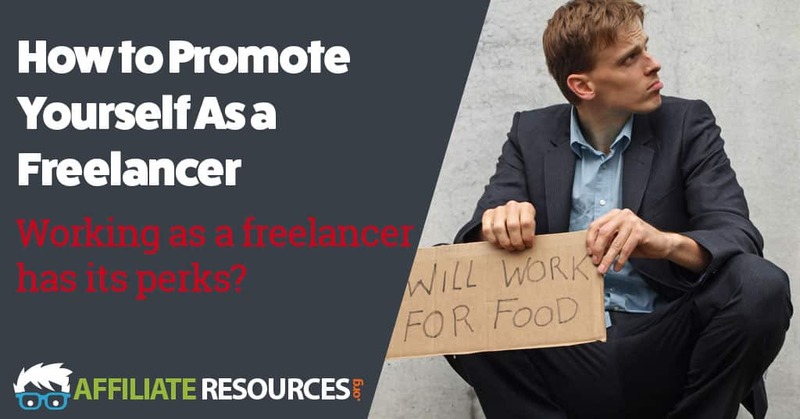 Knowing how to promote yourself as a freelancer is key if you want to be able to attract new clients and earn a full-time income. The very first thing that you need to do when trying to promote yourself as a freelancer is to create a place that you can send potential clients where they can see examples of your work. The best way to do this is to create your own website and feature a portfolio with samples of your work. Freelance writers should be especially careful when doing this and make certain to create unique content to showcase in your portfolio instead of using past examples that you have given to clients. Freelance graphic designers and virtual assistants can get away with showing work that they’ve used in the past with clients, so long as you’re not under any kind of nondisclosure agreement. If you’re not quite sure how to make a website that you can use to showcase your work, check out my top recommended resource to learn how you can build a website for free that you can then use to show off your freelancing skills. If you’re trying to attract new clients as a freelancer, one of the best ways to do it is to link your social profiles up with your website. There are strategies you can implement that will help you to find the most success with your promotion endeavors that are unique to each network. Below are just a few tips to help you find new clients on various platforms. LinkedIn is often overlooked by many people for social networking. However, if you’re a freelancer, it’s one platform that you certainly can’t pass up. To have the most success possible with LinkedIn, make sure that you fill out the profile area and resume sections of your profile completely. Note how many years you’ve been freelancing, and try to reach out to potential clients through LinkedIn’s messenger system. Also, LinkedIn even has its own freelance marketplace on the site called ProFinder. You can apply to offer your services through the LinkedIn platform using ProFinder but there is a slight caveat. As a freelancer, you can only submit your first 10 proposals for free to potential clients. After the initial 10, it costs $59.99 per month for you to be able to continue to apply for freelance opportunities. It’s easy to get started with ProFinder. Just follow this link and click the area outlined in the image below to sign up and start promoting your freelance services to potential clients all over the LinkedIn business platform.  If spending $60 per month to try to land clients isn’t in the cards for you, there are a lot of other ways you can use the LinkedIn platform like searching the job boards, and continuing to message clients as mentioned above. Almost everyone has a Facebook account these days, but few people see the platform as a business opportunity. If you’re a freelancer, Facebook can be amazing for client acquisition when used the right way. There is a unique strategy for trying to recruit potential clients from Facebook, but when applied successfully it’s a very powerful client acquisition method. First, make certain that your Facebook profile lists you as a freelancer employed at your website. Also, change the banner image on your profile to reflect that you’re a freelancer accepting new clients. After you have set up your Facebook profile in this manner, go join some groups on Facebook where your potential clients may be hanging out. For example, if you’re a freelance writer, go join some Internet marketing groups and try to provide value when the conversation of writing pops up. Over time, you’ll start to gain authority inside of the group and many members will start clicking your profile just to learn a little bit more about you. When they see that you offer freelance services, they will often head to your website or reach out via Facebook private message. Also remember that you are able to private message potential clients on Facebook when you see that they are looking for services that you offer. Just be careful not to take advantage of the messenger platform as Facebook will flag you if you message people who aren’t on your friends list too frequently. Another great option for promoting your services and skills is by using paid advertisements. If you’re brand-new to freelancing and don’t have a budget for advertisement, follow some of the tips listed above first. However, if you already have a steady flow of income coming from existing freelance jobs, the next step is to go ahead and start promoting your services and skills via paid advertisements. There are several different places that you can do this, but it’s important to keep a close eye on how much money you’re spending too attract new clients. Start on lower-cost platforms such as Bing and Facebook and once you have an idea of how many people have to see your website before contacting you for work, you can advance on to larger networks like Google AdWords. Just remember to always make certain you are balancing your books as it can be easy to spend far more money than you’re bringing in when you’re trying to get new clients. If you’re a bit confused on how to get started with paid advertising, there are a lot of valuable guides out there that can teach you how to get started. If you happen to already be a member of Wealthy Affiliate, you can follow this guide to get started very quickly. As you can see above, there are a lot of great ways that you can go about promoting yourself as a freelancer. The important thing is to just get started and the first step that you need to take is creating a place where you can showcase your services and samples of your work. You may be amazing at being able to promote yourself, but if you don’t have somewhere to send potential clients, then you may as well be shouting from the rooftops of an abandoned city. If you’re ready to get started taking your freelance services seriously and creating your own corner of the web where you can offer your services and showcase your work, then visit out my top recommended resource that will show you how to create your own website for free. Once you have your site up and running, start to follow some of the other tips listed above and you may find yourself quickly attracting more clients than you can keep up with. I really liked the steps you laid out in this article. I myself did some freelance work for a while and I can say with certainty that it’s a great way to make money, especially you have specific skills in a specific area and can promote yourself and build reviews on your work properly. Great way to earn a side income or even create a full time income if it’s something you’re passionate about. Well as you say, this takes massive energy. But what if I don’t have all this outgoing energy to go on social networks and promote, promote, promote. Is there a good reliable way to delegate this marketing job? Another topic in that vein is that I noticed you didn’t mention sites like UpWork or Freelancer. Is that because you don’t recommend them? Don’t they mostly take away the need to promote so much on social networks? One time I counted 19 different companies competing to host freelancers. Maybe they’re successful? Looking forward to your advice. As a freelance writer, I can relate to this. You are right, finding clients at times can be difficult, and this could make one contemplate quitting the freelancing work. I started my freelance career in 2016, without a platform, and many times clients would request for a link to my work. All I could do is to send them samples of my work. However, this is not an old story as websites like journoportfolio offer freelancers the opportunity of using their platform for free to display some of their works. Being on platform like Linkedin can also help. Thanks Jay the content is so rich and educative. However, my area of specialization is hardware, how do I setup a website that will capture clients attention with respect to my field or area of specialization. The area I found more interesting is the link to setup my own website for free. I will be glad to hear from you. Hello Jay, becoming an freelance writer was one of my goals before I joined Wealthy Affiliate. I have thought about it again just recently. Now that i have my own website with thirty indexed articles, I think my chances of landing a gig are significantly higher. I just need to look for something that’s appealing to my interests. Promoting ones work is definitively half what is needed to succeed online. I realize that I have to dive into that aspect soon. I have been focu using on content as I realize how important it is – this is what will keep my visitors on my website. I realize that I have to get them to visit in the first place. Your articles are always a huge help to me. I am a freelancer and it has been frustrating trying to get new clients. I should take you advice and maximise the use of LinkedIn to promote my freelancing trade. Also, I have relegated my facebook account to just entertainment and catching up with friends and family. I guess I should start using the platform to promote my freelancing activities. I don’t have any experience with freelancing but I do appreciate this article because it is something I’ve always had in the back of my mind that I’d like to try. I love to write and I’m good at it but up to now, I’ve been putting my efforts into my niche website. Thanks for laying it out step and by step, and the advise about LinkIn. I didn’t know about their job boards or about Profinder. You’re right, the important thing is to just take the first step. Thanks for the valuable guide! Hi Jay.I have been following a few of your lectures as a WA member so far. I’m trying to run some business over the Internet but I’m not really satisfied with my progress. I’ve read your article about freelancers and it seems to me that this is generally true for every business. I signed up for your 10 lessons course and I hope to learn something. Thank you so much for the detailed post on how to Promote Yourself As a Freelancer. I have to admit that I am one of those people that have never considered Linkedin as an advertising or jobsearch platform. I also was not aware of In Profinder. Thank you for this comprehensive step-by-step guide, it certainly helps to highlight what is possible. I wonder what steps could a person who has never done any freelance writing could do to create a compelling portfolio…?